The JOSEPH JOSEPH Nest Utensils Plus Multi Colour Set features all the basics you need for turning, serving, straining and scooping. 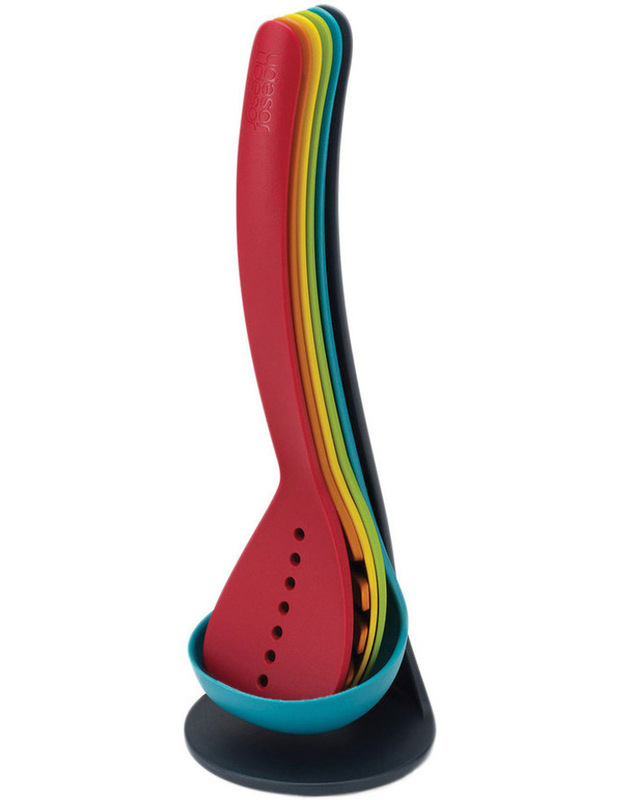 Cleverly designed, these vibrant kitchen tools fit neatly together for easy storage. Thanks to their ingenious magnetic handles, the utensils are designed to stay together, preventing you from losing any. 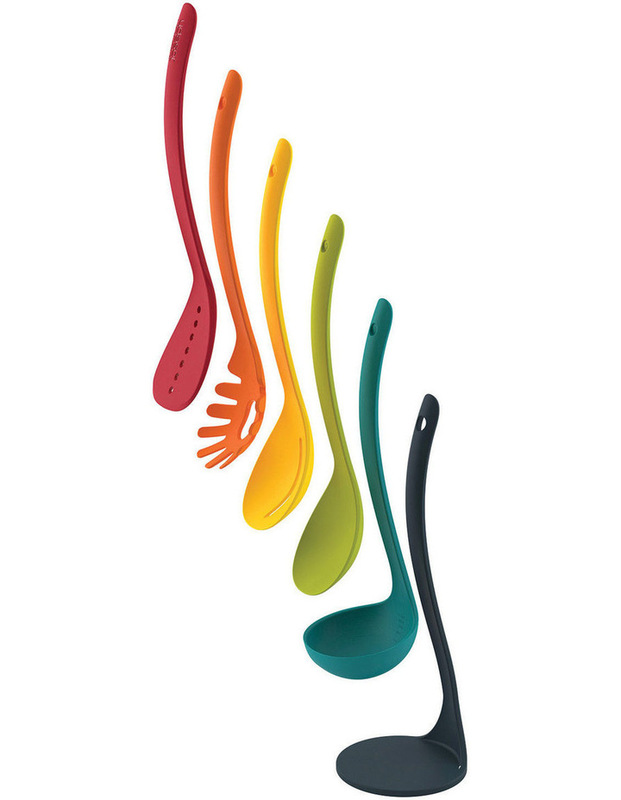 This ingenious set includes a slotted spatula, spaghetti server, slotted spoon, solid spoon and a ladle. The update of the Next Utensils, this also features a handy stand to store those utensils that are not in use.